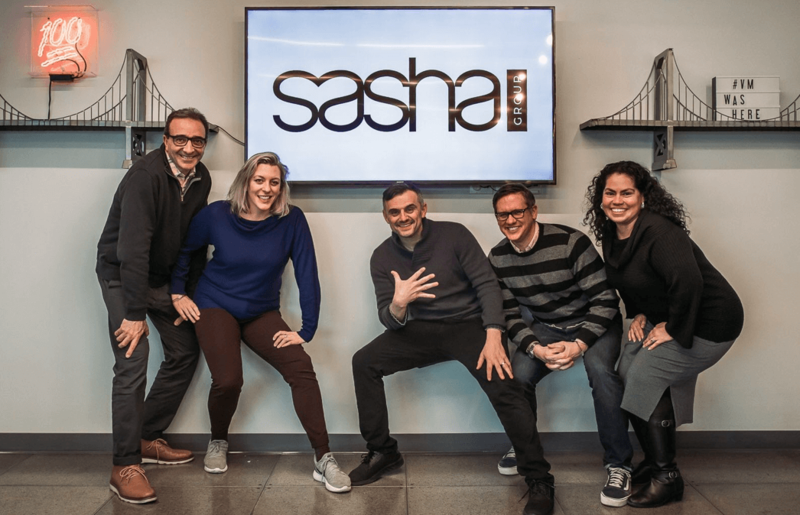 The Sasha Group is a digital marketing agency, consulting company, and educational training firm (creating content & media strategies for social media advertising) for small-medium businesses, startups, and entrepreneurs. Giving back to my parents for giving so much to me. My parents “put me on” emotionally. They instilled enormous self-esteem in me. It’s no question the reason why I’m able to deal with the pressure, stress, responsibility, and chaos that comes with being a “#1″ at a large company. So I spent a decade helping my dad, Sasha Vaynerchuk, on growing our family’s liquor store to a $60 million business. I wanted to put my family on for putting me on. The Sasha Group is an agency focused on helping small-medium businesses, entrepreneurs, and startups grow even faster. VaynerMedia has been getting so many inquiries and requests from smaller companies asking to work with us, and we’ve always turned them down. We’ve historically only worked with Fortune 1000 clients. But now… we’ve taken a part of VaynerMentors, VaynerBeta, Vayner4Ds, and a big part of our Chattanooga office to form what I believe will be the best firm offering education, training, consulting, and marketing services for startups & SMBs in the world. If you’re an entrepreneur running a small business, the entire Sasha Group team has been in your shoes before. We’ve been helping smaller scale entrepreneurs grow for years. We have team members who helped a furniture company grow sales through branding, a beauty company add another $100,000 / month in revenue, a supplement company unlock real growth and scalability in business, and more. When I was building Wine Library (my family business), I was able to grow the business to $60 million in revenue ridiculously fast on the back of Google AdWords. I bought broad keywords like “wine” for pennies per click. And the fastest growing companies in the world today are companies that take advantage of underpriced attention the most. Look at Wish, a shopping app started by engineers who worked at Google on the AdWords product. They’re doing billions of dollars in sales, and they’re the only conceivable threat to Amazon today. They spent nearly 100% of their money on Facebook and Instagram advertising. We see this with companies like MVMT Watches, FashionNova, and more — no matter what niche you’re in, using social media to drive sales and build brand is something that will change your business in 2019 and beyond. With the Sasha Group, you’ll be partnering with a team of people of understand what it takes to “future proof” your business and unlock explosive growth. Fill out the form on this site to learn more.